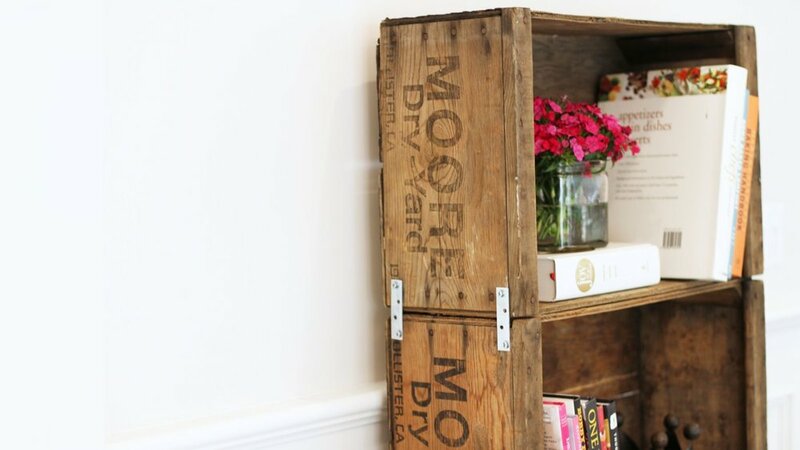 This week I am back on HGTV Handmade and I'm making a DIY crate bookshelf! This shelf adds character to any room and since you're making it no oneeeee else will have an identical piece : ) I feel like Phoebe in Friends. Remember that episode where Rachel keeps buying everything from Pottery Barn because she loves Ross' furniture, but she lies to Phoebe and tells her it is all from a flea market!? Bahahahha. I love that show. And I love this shelf. 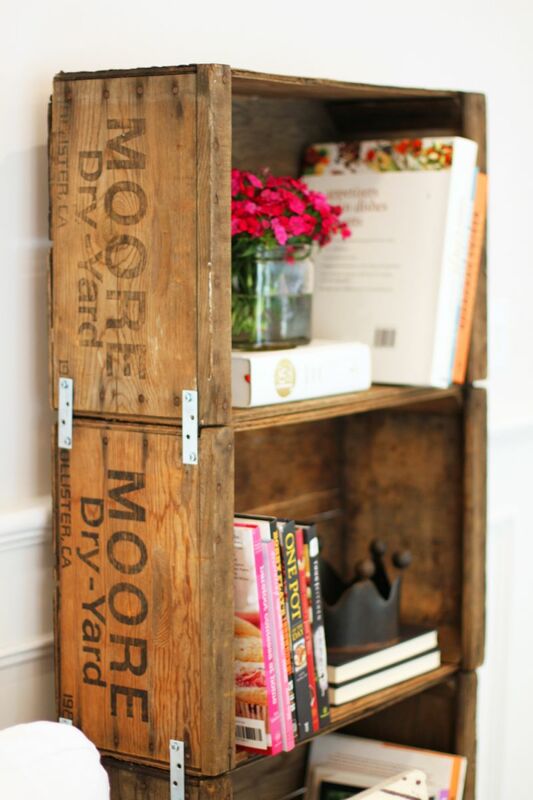 If you live in Los Angeles, I purchased my antique crates from the Agoura antique market. Aren't they beautiful?